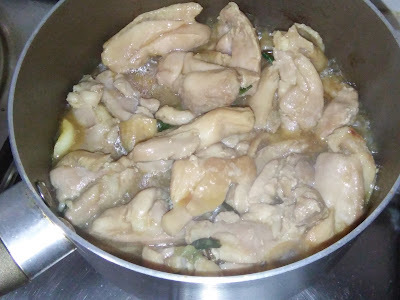 According to the Chef, you can cook this chicken even if you are too ‘chicken’ to smother a live chicken!. Smothering here does not refer to the chicken but to the cooking method. The chicken is cooked by covering the pan and the lid is not removed or opened once the simmering starts. There is no water added to simmer the chicken, only the marinade. 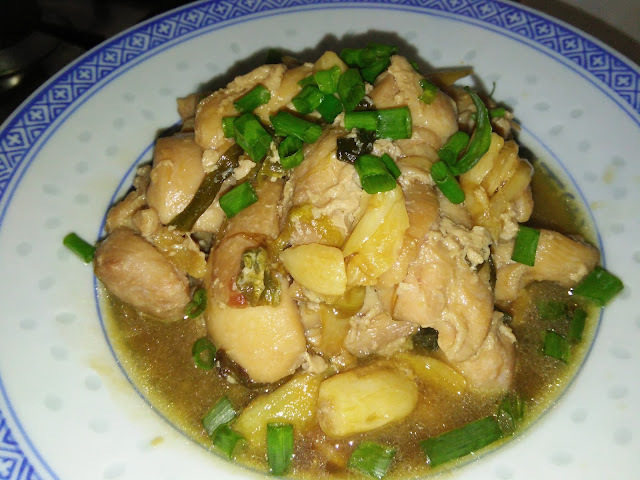 I recommend to use free range chicken for this dish if simmering it for 20 minutes. 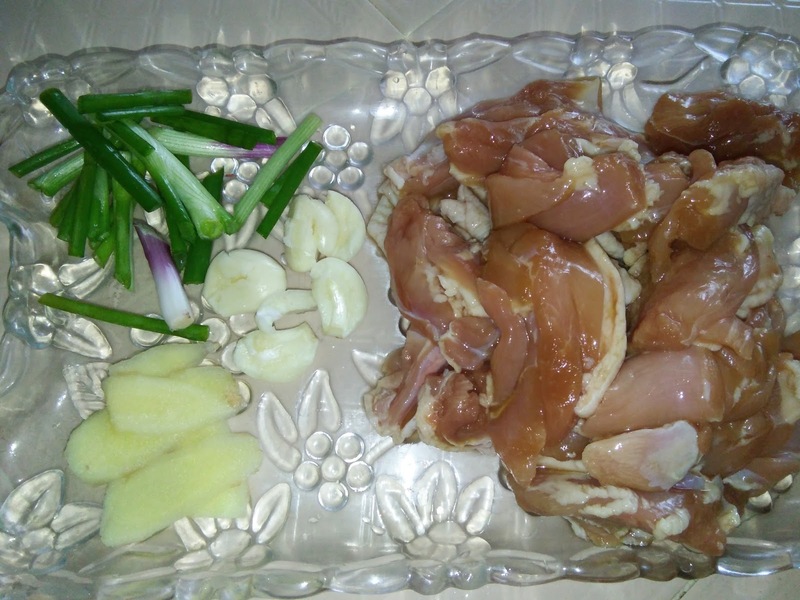 The chicken pieces are simply fragrant and tasty just with the marinade. The sauce is good which is the juices from the chicken and soy sauce. 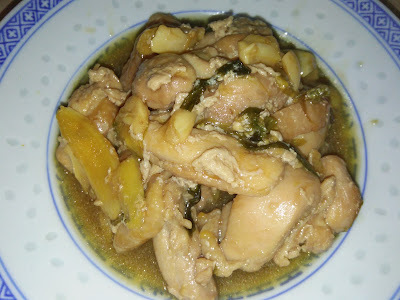 Again, this kind of dish can be prepared ahead of meal time and kept warm or refrigerated or frozen. Just reheat and garnish with extra spring onions to serve hot. 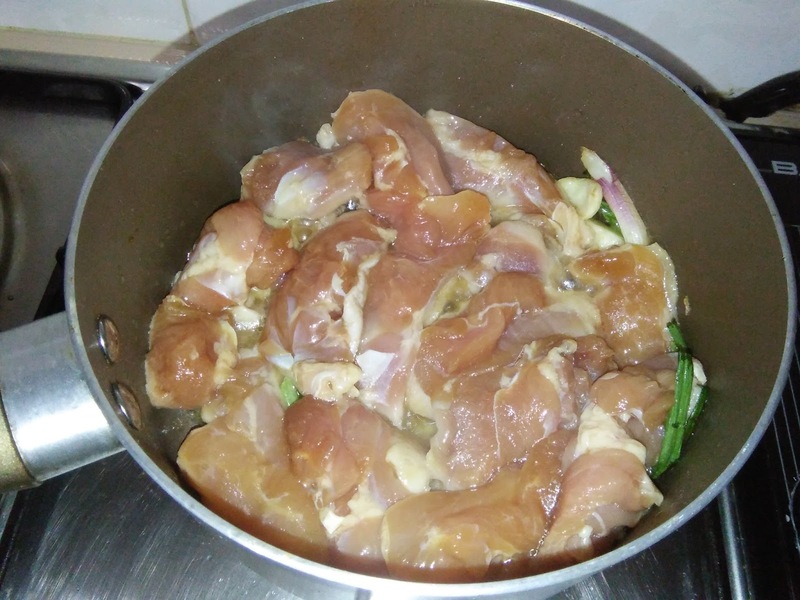 Marinate chicken pieces for at least 30 minutes. Drain and reserve the marinade. 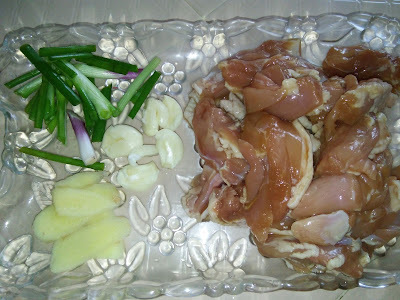 Heat up 1 tbsp oil in a non stick pan/wok, brown garlic, ginger and spring onion first, then add in chicken pieces. 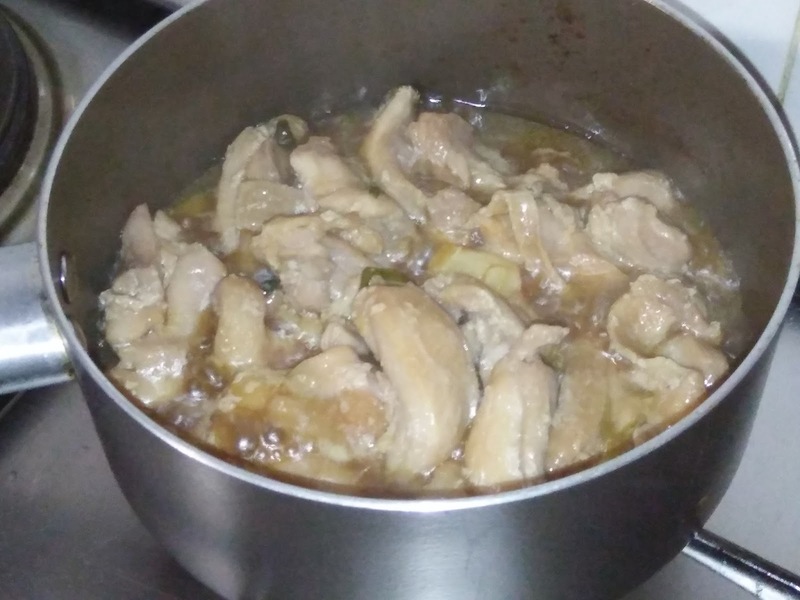 Fry until brown. Pour in reserved marinade, give it a good stir. Lower heat, cover pan/wok and simmer for about 10-15 minutes until chicken is cooked through [try not to open the lid, but shake it occasionally to prevent from sticking]. 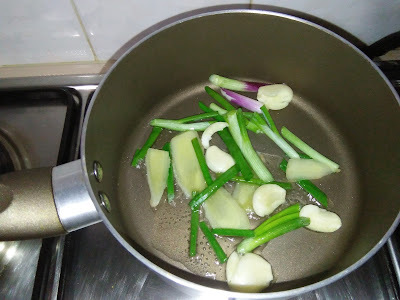 Dish up to serve [you can discard the aromatics], garnish with spring onions. Hi Kimmy! Since the chicken simmers in its own juices, this must be very tasty indeed! 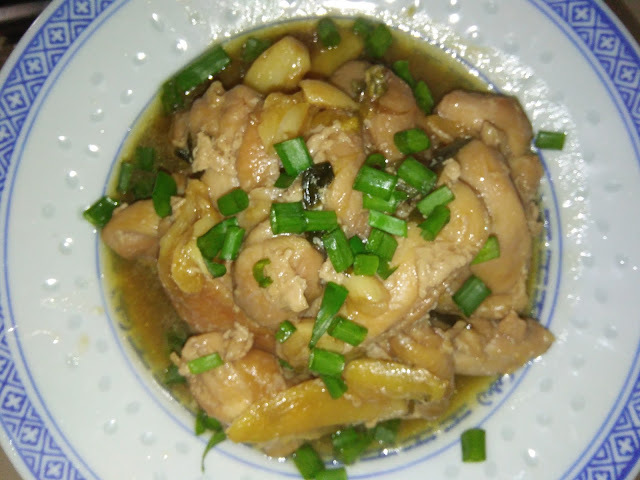 I love simple chicken dishes like this! 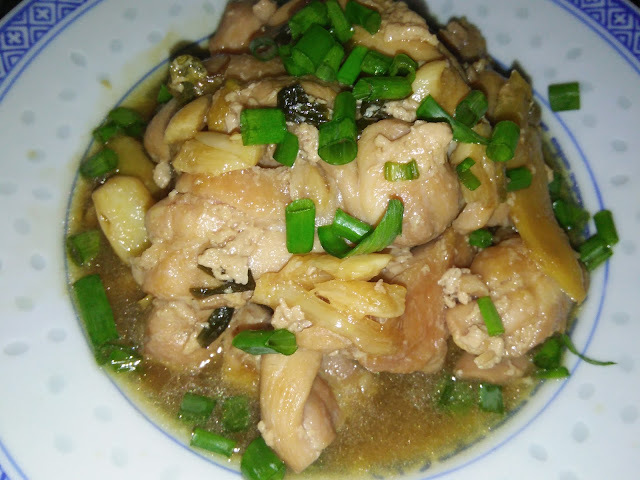 With some chili padi and soy sauce, I'm happy! 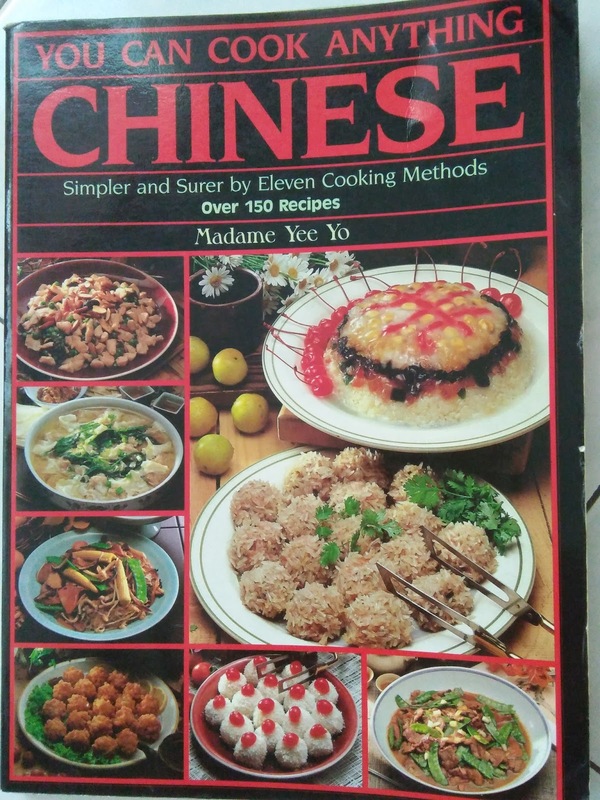 I am liking all the recipes you've made from this book. Hi Phong Hong, yes very tasty. My hubby thought I have over seasoned the chicken. 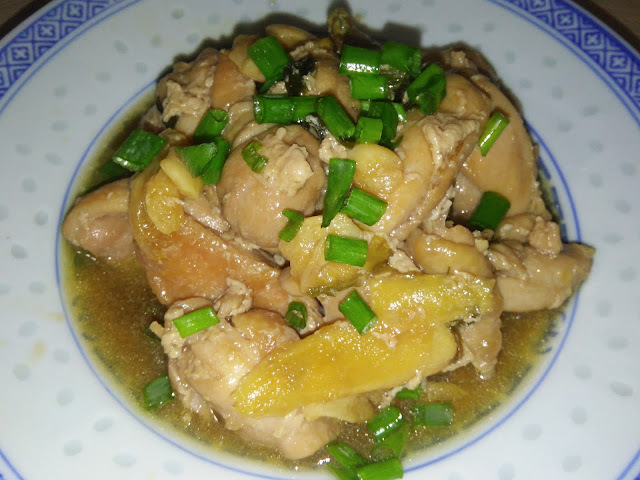 If using free range chicken, the dish would look really yellowish because of the fats and skin. 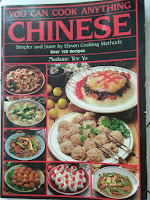 Hi Joyce, too simple and easy that I doubt if the recipes would be good before trying. But no regrets that I tried. Feeling great to be able to enjoy all these new dishes. 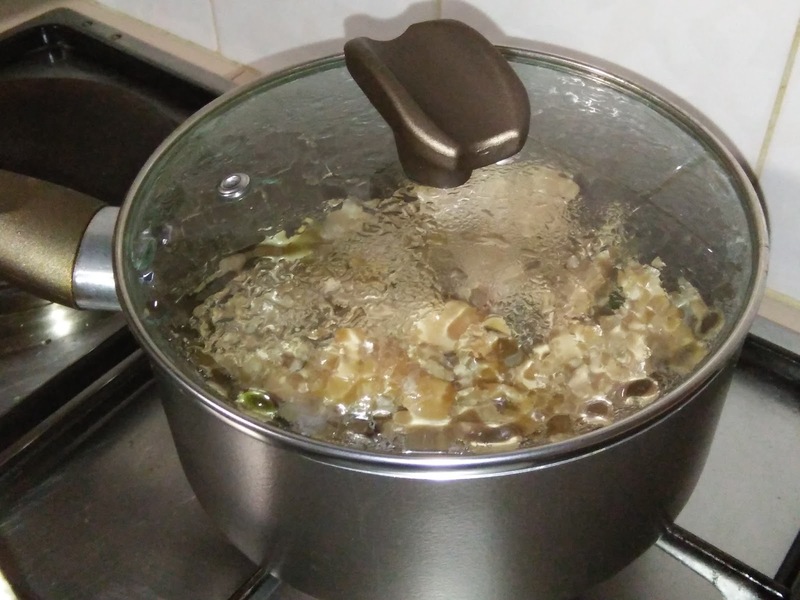 At least cooking is not monotonous anymore.